Disclosure: This is a Fashionista Event and a promotional item was provided to me by Sweetworks. Hosts for this event are Still Blonde after all these Years and ModlyChic. I can't believe that it is already Fall. Since I live in Southern California, we haven't yet experienced the changing of leaves or cooler weather...yet. 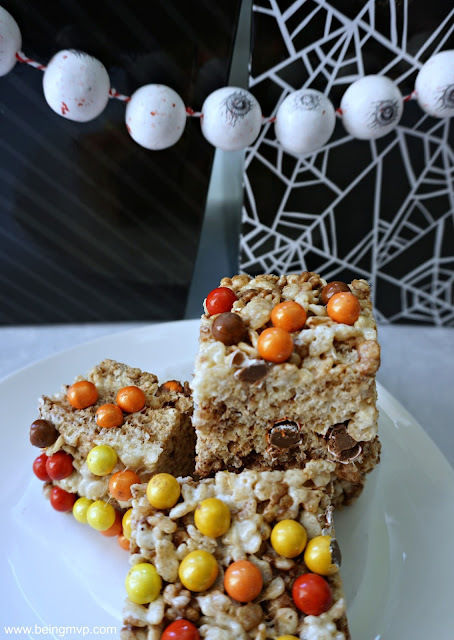 However, the delivery of a box of sweet treats from SweetWorks has put me in the mood to whip up a favorite of the kids with inspiration from the season. The kids were definitely delighted to see all the SweetWorks fun goodies and their wee little hands were digging right in. 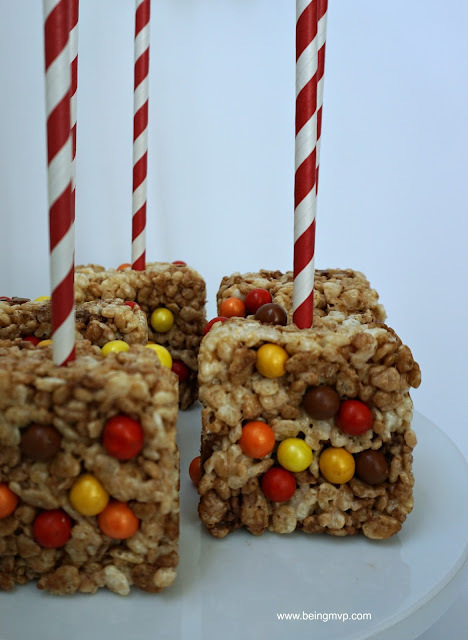 One of my go to recipes for parties and sharing is krispie treats. I never knew how quick and easy it was to make them until after having kids even though I've enjoyed them my entire life. They are easy to customize and thus the Pumpkin Spice Krispies Treats were born. 1. Smack the chocolate orange against the counter to break apart. This was my first time with such a treat and it was definitely fun and the kids wanted their own orange to break. Roughly chop up the orange slices and set aside. 2. Place butter in a pot and melt on low heat. Add in marshmallows and allow to melt completely. 3. 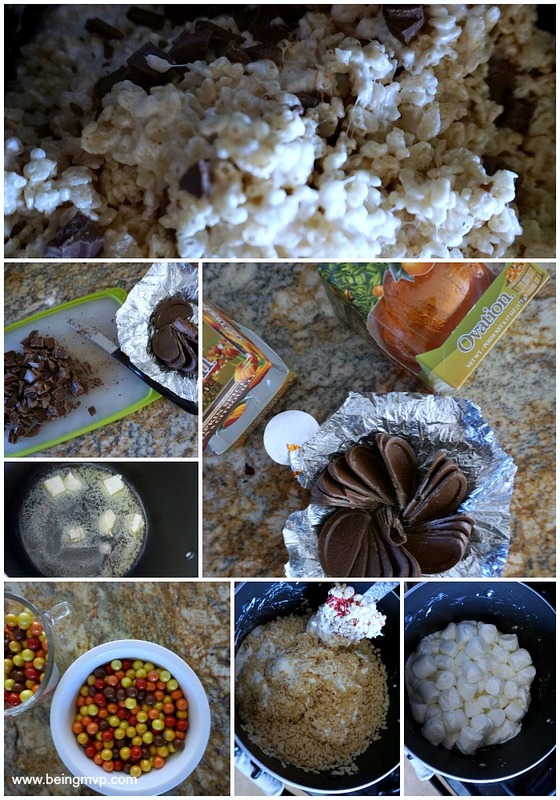 Add in the rice krispies cereal slowly until fully coated with marshmallow goodness. Turn off the heat. 4. Sprinkle in the chopped chocolate and gently mix. 5. Place the Sixlets® on the bottom of a nonstick baking pan. I used a brownie bar pan and 9 inch square pan. Add in krispie mixture and then top with more Sixlets®. Make sure to press down. *I used parchment paper on the bottom of the square pan for easy removal. 6. Allow to set for several hours. You can even pop into the fridge if you'd like. 7. When the treat is completely set, pop out and either cut into bars or push a fun striped straw through and enjoy! The SweetWorks Spooky Eyes Gumballs, Caramel Apple Gumballs and Autumn Mix Gumballs were easily strung onto twine to create an accompanying garland. I added some wooden balls in between as well. These are perfect for decor, parties and even as necklaces. I love the large size of the SweetWorks gumballs and Kenzie loves the taste of these the best! With Fall Carnivals and Bake Sales coming up, SweetWorks has us covered. 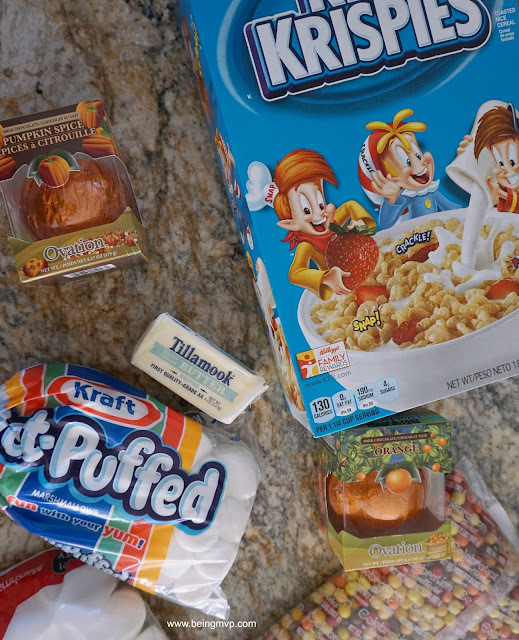 What would you make with the amazing Autumn assortment of SweetWorks? One Winner will Receive $50+ SweetWorks Package! I like Sixlets because they come in so many colors. I would like to decorate with Dark Orange BAP because they would make super easy placeholders. The jack-o-lantern disks and foil turkey would be so cute for each place setting at a holiday table. Thanks for the giveaway! I would use Orange & Black Skulls for halloween decorating! Sixlets come in the perfect fall colors. I would use them in a floral arrangement. It's time to turn my coffee bar setup into the warm stuff again (I've been drinking cold brew during the summer). The orange Ovation sticks would be great to use to stir my hot drinks - I could put them in a clear heavy glass.....and I would love to have a shallow dish of orange and black foil covered chocolates on the bar as well. Fall colors are great! 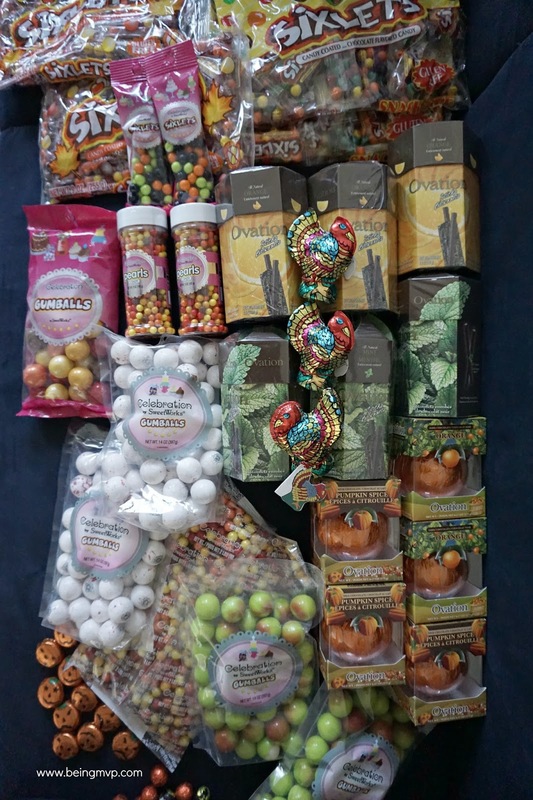 I love the foil wrapped chocolate pumpkins and the sixlets. I would like the orange stixlets and would use them in Halloween cake decorating. I would use the Autumn Mix Pearls - the colors are beautiful, and they would be beautiful on cakes, cupcakes and even atop waffles and pancakes. I would like to have the Autumn Mix Pearls to make pumpkins and turkeys with the grandkids. I know they would enjoy making something they could eat. I would use the orange and gold foiled solid milk balls in a fall centerpiece. My kids like all of the candies but their favorites are the Mike Ikes, Nerds and the sixlets. We would use it for decorating bars, cupcakes, and cakes. I would love to use the Sixlets® Harvest. The colors are perfect for the fall season and they would be super on cupcakes. i love sixlets so i would use the fall colored ones. I would use the turkey chocolates. They would look nice on a Thanksgiving table. In a tall glass decanter I would layer from large to small Shimmer Gold Gumballs, Shimmer Gold Sixlets, Autumn Mix Pearls, Autumn Mix Sixlets and Orange Gumballs for a centerpiece for our dining room table. I'd use the lime green sixlets to make a Frankenstein craft because my kids would love it! I would love to decoarte with the Sixelts Harvest Laydown because they are perfect colors for fall. I'm won't be decorating this Halloween but I'm sure looking forward to eating the candy. I love sixlets! I've always liked their Break-Aparts. I would use those on top of cupcakes or cookies! I would love to have the Halloween Mix of Sixlets. What great colors to use when decorating. I like these because you can create designs and patters with them also. I would use the Sixlets Halloween Bag to make fun Halloween cupcakes for the kids. I would use the Oak Leaf Orange and Black Skulls to decorate cupcakes with and the Sixlets Halloween Bag for using in making cookies. I would layer Sixlets by color in a clear vase. They have always been my favorite candy. I love Sixlets. I love how you can squeeze the whole tube in your mouth. The colors of the Autumn Mix Pearls are so pretty, they'd look great in a small glass vase. They'd look even better decorating cupcakes, though! I would certainly like to use their Sixlets® Harvest Laydown Bag for Autumn decorating. The colors in it are perfect for Fall. So tasty too!! I really want an Ovation Dark Chocolate Orange Break apart. They are so pretty and I think they would be a great conversation starter. I love your rice krispies! I like the autumn colors of Sixlets® Harvest Laydown Bag (9 oz). Autumn Mix Pearl Jar and Ovation Dark Orange Break-A-Parts. Yummy and a good decor because of their autumn colors. I'd love the Harvest Laydown bag of sixlets! 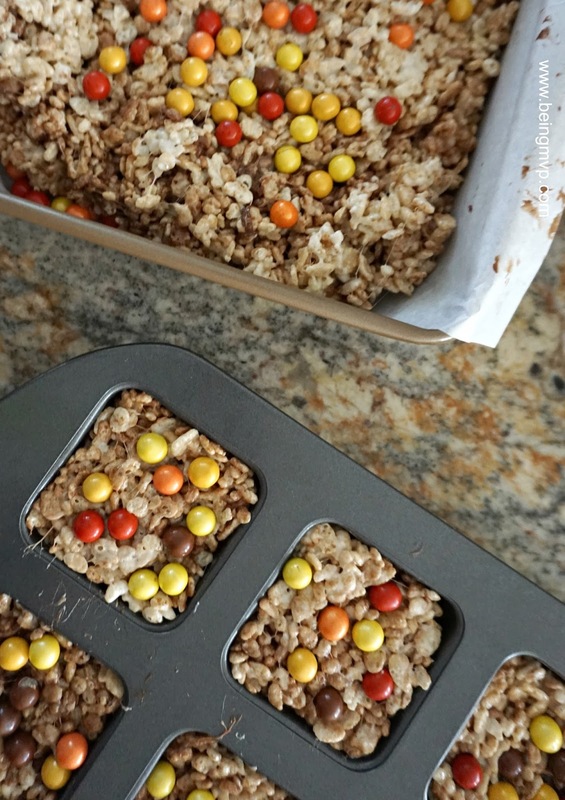 They are my favorite and the fall color would be perfect for fall baking! I'd pick the Harvest Laydown bag of sixlets, look great and taste great! I would love to use the Ovation® Dark Orange Break-A-Part b/c they are lovely and yummy. I'd like to use the Sixlets so that my kids could decorate sugar cookies for thanksgiving. I would love to use the Sixlets to create a boarder on a cake! 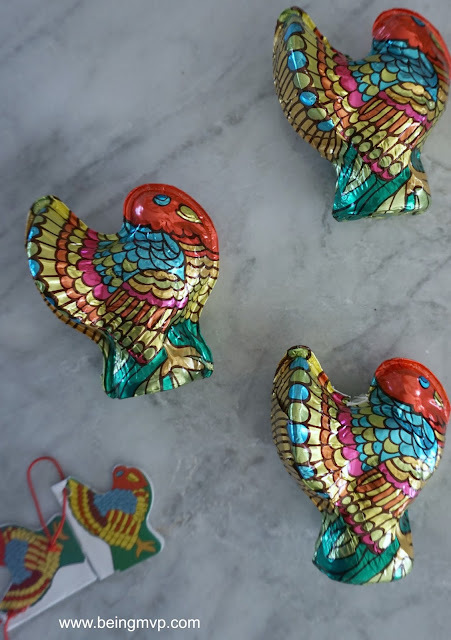 I'd use the 1 Ounce Foiled Milk Chocolate Turkeys attached to name cards for Thanksgiving dinner place settings because it would be easy and attractive. I would use the Sixlets for the flavorful and fun colors! I would love the Autumn Mix Pearls. You can create a lot with them. I would love to put Autumn Mix gum balls in a tall decorative jar because they are so colorful! The Autumn Sixlets would be awesome for my baby's first birthday party in November. I’m just getting into decorating so I would use the sixlets to decorate cookies because they are easy to use and will taste and look good. I love all the colors that Sixlets come in! Great for the Fall season and for football season! I love all their candy but sixlets, the oranges, and the foil wrapped are my favorites. 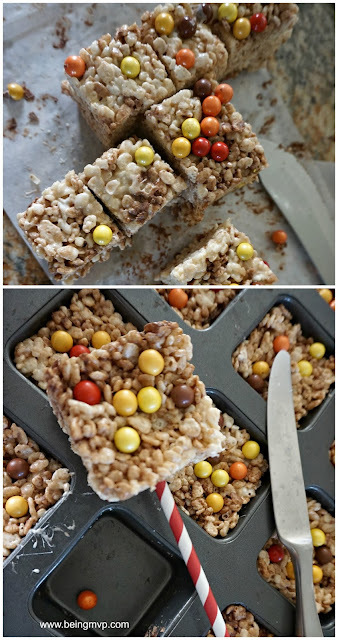 I love how easy they are to make and that fact the kids can customize them themselves with so many different candies.This is such an fantastic idea to make with my little ones.Thanks so much for sharing the recipe. These look really delicious. Thank you for sharing this. We will try this one out. These look very good. We love sweets in this house. Thank you for sharing. 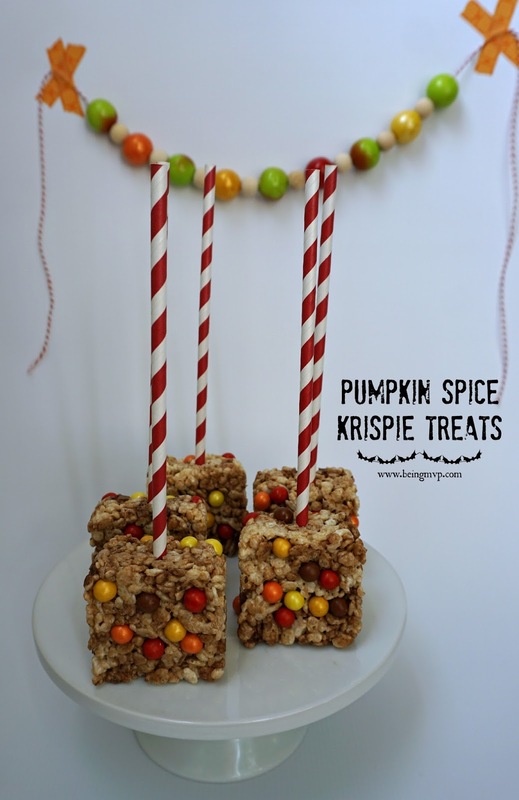 I like the pumpkin spice krispie treats. They look delicious. Thank you for the recipe.